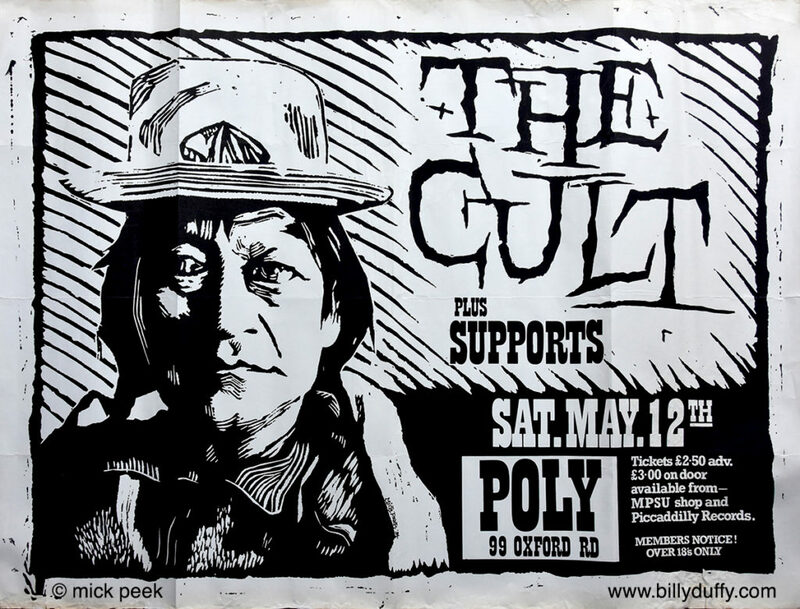 Poster from The Cult show that took place at the Polytechnic in Billy's hometown of Manchester on 12th May 1984 which was his 23rd birthday. This poster was designed by Mick Peek (from Team BD) who was student at the poly at the time. Special thanks to Rob Brew for giving us the poster.